Manage your energy use and increase your savings with SunPower's industry-leading solar technology and battery storage solutions. With more than 30 years of industry experience, we can customize a solar and storage solution to meet your organization's energy needs. Combining battery storage with SunPower's high-performing solar technology can significantly increase your electricity savings by reducing monthly demand charges. Design, installation, and operation and maintenance services are seamlessly integrated with your combined solar and storage system to ensure a simplified turnkey solution that speeds your time to savings. 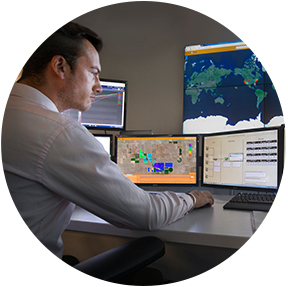 SunPower's energy solutions experience and digital platform development capabilities ensure you receive consistent performance and reliable savings over your system's lifetime. Advanced predictive analytics, battery storage and a portfolio of support services combine to deliver a simplified, turnkey solution for lowering your energy costs. Intelligent software predicts energy consumption over time and automatically dispatches stored electricity to lower demand charges. Best-in-class solar battery storage technology is safe, reliable, and has the versatility to adapt real-world conditions. Design, installation, and operation and maintenance services maximize performance over the entire life of your system. 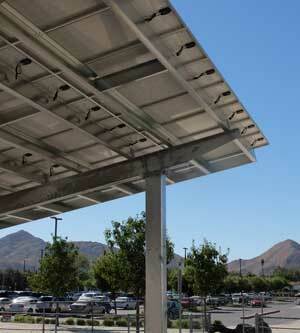 Learn how commercial solar battery storage can benefit your business or organization. By reducing the costs of energy usage in business, solar energy storage is becoming more common than ever. By better understanding how your utility charges you for electricity, you can identify opportunities to reduce costs for your business. Commercial battery storage has advanced rapidly—making solar battery storage a practical option for many organizations. 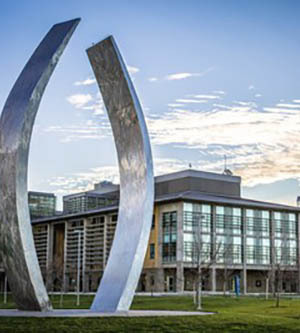 Leading US corporate solar buyer integrates battery storage into its energy strategy. 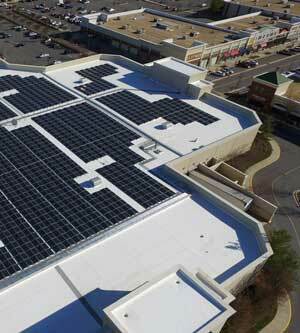 Battery storage helps Macy’s manage energy costs by offsetting demand charges. Financing carport, rooftop and battery storage with power purchase agreement (PPA). 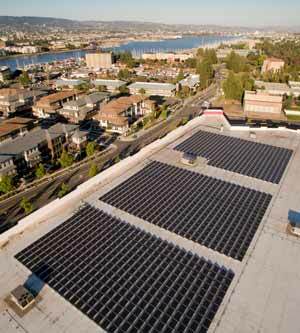 Projected to save $35M over the next 25 years with solar carport systems and battery storage. How can solar battery storage solutions complement my solar installation? When integrating solar technology with an energy storage solution, it takes a high degree of experience and knowledge to ensure solar panels and solar batteries work together in a way that helps your organization realize its energy goals. Solar installations alone generate energy on-site and provide savings by reducing your net consumption of energy from the grid. Adding battery storage to your solar installation helps increase savings by reducing the demand charge component of your utility bill. 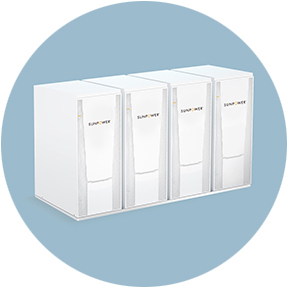 SunPower’s commercial storage solutions can lower monthly demand charges with our intelligent control system, which uses advanced predictive analytics to manage the solar battery in real-time. What are demand charges and how do they fit into my utility rate structure? As a commercial customer, you likely see—and pay for—two types of charges on your monthly utility bill. The first of these is your energy charge, which is calculated by multiplying your total energy use for the month (measured in kilowatt-hours) by your energy rate. The other charge you’ll see on your monthly bill is what’s known as a demand charge and is typically calculated by looking at the greatest amount of power (measured in kilowatts) you need during any of the thousands of "demand intervals" that make up a billing cycle. * In most instances, a demand meter literally measures (and averages) your power "demand" in 15-minute timeframes throughout the month, and reports this information back to your utility. * This reported peak-kilowatt level is then multiplied by a specific rate, which determines your demand charges. For example, if your utility charges $10 per kilowatt (kW) per month, and your peak-demand interval power requirement is 100 kW within a month, you’ll pay $1,000 in demand charges that month ($10 x 100 kW). Remember, this is on top of your energy charges. What is the typical cost of integrating solar battery storage with my solar installation? Costs vary from project to project and are impacted by many factors—project location, utility rates, available tax incentives and more are all key considerations in determining the value of commercial battery storage solutions. 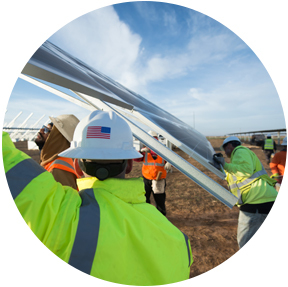 SunPower will work with you to develop a thorough analysis of your unique situation and help determine if integrating solar energy storage is the right choice for you. The Federal Investment Tax Credit (ITC) has been instrumental in growing solar adoption, do battery storage solutions benefit from the same incentives? When solar and battery storage are purchased as a joint solution, the combined system is eligible for the Federal ITC. However, if solar energy storage solutions are secured independently and added to an existing solar installation, the solar battery portion of that system will not be eligible for the ITC. That said, tax credits are subject to change and SunPower does not warrant, guarantee or otherwise advise its partners or customers about specific tax outcomes. We suggest that you consult with your tax advisor regarding the solar tax credit and how it applies to your specific circumstances. You can also visit www.dsireusa.org for detailed solar policy information. *. Check with your local utility to confirm their rate structure.